We're here to help. Contact us today to get your loved one out of jail fast. There’s no doubt about it — understanding bail bonds can be a pretty difficult thing. That’s why the team at Wanna Get Out Bail Bonds is here to lend a helping hand. Below you’ll find a list of frequently asked questions, but if your question isn’t listed, don’t worry. Instead, don’t hesitate to contact us, because we’d be glad to help. 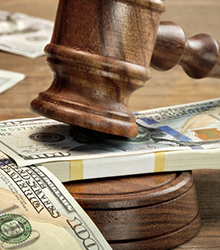 Bail involves a process in which a defendant is released in exchange for money. This monetary “insurance” ensures the accused will show up for his or her court appearances. What’s the point of bail? Bail bonds exist because trials can take months or even years to work their way through the court system and bail permits a defendant to be released from jail while awaiting the outcome of the trial. How does making bail help? 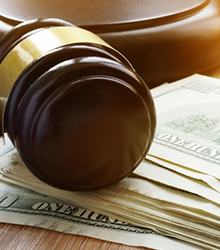 By making bail, you get to handle your legal problem out of the confinement of jail, as the court can take up to several months to even get started in bringing you to trial! Simply put, bail bonds are a form of payment which allows someone who has been arrested for a crime to leave jail until they are ready for trial. The Hawaii standard for a bond is 10% of bail amount. So if the judge sets bail at $50,000, you would need $5,000 to exit police custody, and we’ll take care of the rest. Payment plans may be available in some cases. Unfortunately, judges often like to take hard stands in some cases. They will usually set a fairly high amount for bail involving a charge of driving under the influence, or drunken driving. If you can’t make bail on your own, give us a call. Our surety bonds may be the answer you’re looking for! What are other factors the judge looks at? Have you ever asked yourself, “what is a bail bond?” or “how do bail bonds work?” Don’t worry, because Wanna Get Out Bail Bonds is here to answer any questions you have. Regardless of your needs, we’ll be by your side, providing you with the help that you need during your difficult time.